The company unveiled Xiaomi Redmi 3 Pro smartphone. 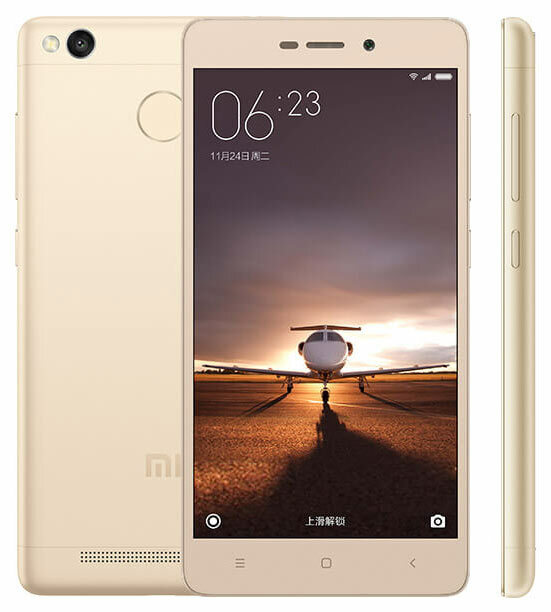 It is easy to understand from the name, it is a kind of model Redmi 3 , saw the light in early January. new device differs increased from 2 to 3 GB of RAM and increased from 16 to 32 GB of flash memory from its predecessor. Another difference - the fingerprint sensor. The rest of the specifications of the device have not changed. As before, they include single-chip Qualcomm Snapdragon 616 system, a five-inch screen resolution of 1280 x 720 pixels, microSD slot, camera resolution of 5 MP and 13. The smartphone supports 4G LTE, Wi-Fi 802.11n and Bluetooth 4.1. It runs on Android 5.1. Battery capacity - 4100 mAh. The buyer can choose gray, silver or gold color options.